Why hybrid cloud is the way to go, even if it is not as simple a solution as it initially appears. "Simple, non-critical apps go public while complex, mission-critical apps stay private." If only hybrid-cloud management were that straightforward! The hybrid cloud is the Goldilocks of cloud services: The public cloud is inexpensive, but it’s not safe. The private cloud is safe, but it’s expensive. Putting the less-sensitive of your organization’s data assets in the public cloud while keeping your more-sensitive data in a private cloud is juuuuuuuust right. If only the real world were as straightforward as fairytales. Configuring and managing a hybrid cloud infrastructure is fraught with peril: too much reliance on the public component puts your data at risk, yet overuse of the private component means you’re spending more money than you need to. However, there is a reward for companies that master the hybrid mix: secure data at a much lower cost than managing everything in-house. 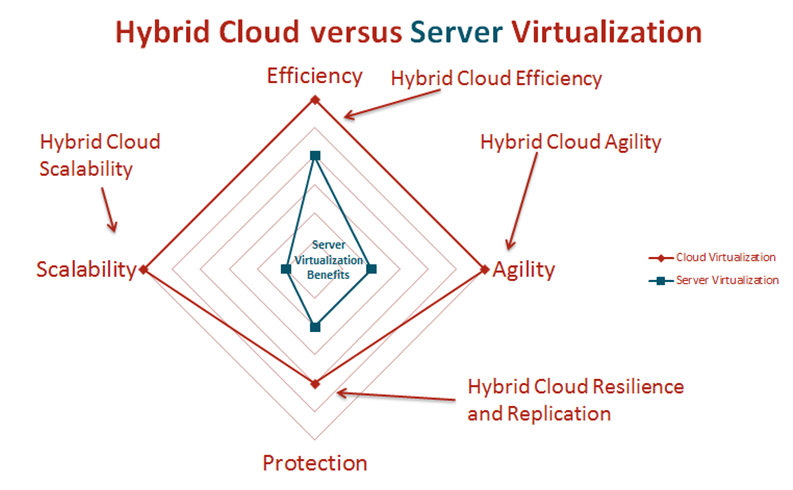 In The Art of the Hybrid Cloud, ZDNet’s James Sanders defines the hybrid cloud as a combination of public cloud services, such as AWS or Google Cloud, and a private cloud platform. The two are linked via an encrypted channel over which your data and applications travel. Hooking just any server to a public cloud service doesn’t create a hybrid cloud. The private side of the connection must be running cloud software, such as the open-source ownCloud or Apache CloudStack. Sanders claims that the primary reason organizations choose not to use public cloud boils down to bandwidth: they have too much data that they need to access quickly. The public network’s latency is what prevented the Japanese Meteorological Agency from migrating its weather-forecasting data to cloud services. The agency uses an 847-teraflop Hitachi supercomputer to analyze earthquake data to determine whether a tsunami warning needs to be issued. The time-critical nature of such analyses precludes use of the slow public Internet. The data-center infrastructure has been refined and improved so much over the years that its reliability is taken for granted by IT managers and business users alike. Conversely, the public network is anything but failure-proof. It remains a given that the network will fail, which explains the Netflix “build for failure” Chaos Monkey app-development strategy. Tech Republic’s Keith Townsend explains in a September 22, 2015 article why building resilience into the app rather than the infrastructure is preventing companies from adopting cloud services. Townsend claims the cloud’s greatest asset is agility: It allows developers to manipulate the infrastructure directly, with no need for an IT intermediary. This lets ideas move swiftly “from the whiteboard to running code.” According to Townsend, you can’t reduce the complexity of a highly redundant infrastructure without sacrificing reliability. The hybrid cloud has the potential to deliver the agility of the cloud along with the resiliency of the data center. 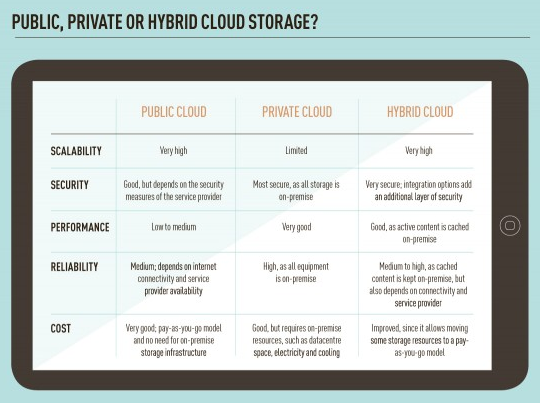 Whether hybrid clouds deliver on this potential depends on overcoming two challenges. The first is scalability, and the second is ensuring “frictionless consumption.” In the first case, some applications are too large for the public network to support the redundancy they require. Not many organizations have the infrastructure in place to handle the load that would result from an AWS failure, for example. The second case – frictionless consumption – is even trickier to pull off because of the inherent complexity of cloud management, particularly in relation to highly redundant infrastructures. The heft of large applications can cancel out the cloud benefits of easy, universal access and simple interfaces. All the agility, scalability, and usability of hybrid-cloud solutions are worthless without the ability to secure and monitor your organization’s off-site data assets. In a September 2, 2015, article, Tech Republic’s Conner Forrest writes that a major concern is how the cloud service handles authentication on its public-facing portal. Forrest points out that security and monitoring are usually self-service, and few SLAs may be offered by the provider.